Cosmetics have been in use for thousands of years, and the potential for harm to the wearer has been present ever since the use of toxic chemicals such as lead sulfite (galena) as an eye make-up by the ancient Egyptians. Manufacturers have a duty to ensure that potentially harmful products are not placed on the market. Products must undergo chemical, microbiological and physical testing to ensure safety, quality and legislative requirements are met. 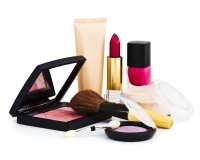 If a laboratory performs these analyses, participation in the LGC COSMETICS scheme can provide confidence that results are meaningful, accurate and will allow for comparison to peers.